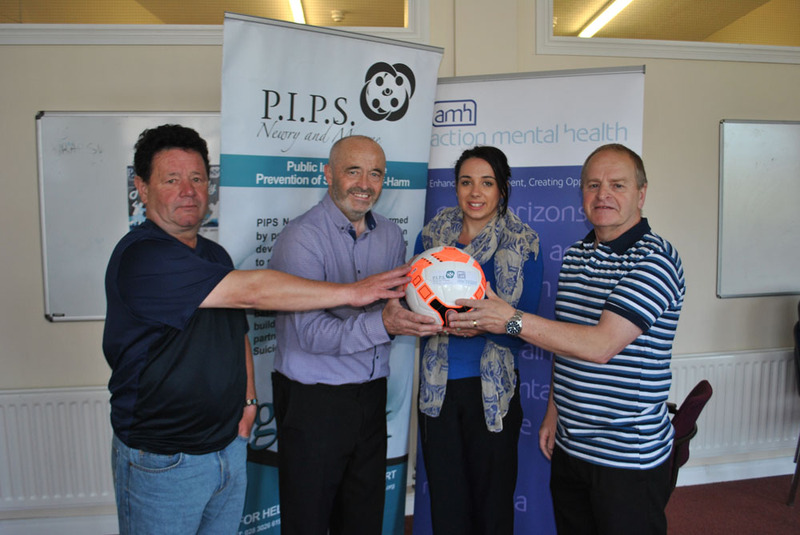 We have teamed up with PIPS to host a free to attend football tournament taking place on 20th July 2015 in Jennings Park, Newry. Eight leading teams from the South Down and South Armagh area will compete in a knock out competition that will see clubs from different leagues play each other. The quality of the teams taking part is excellent with most of the teams being major winners in their individual leagues last season. 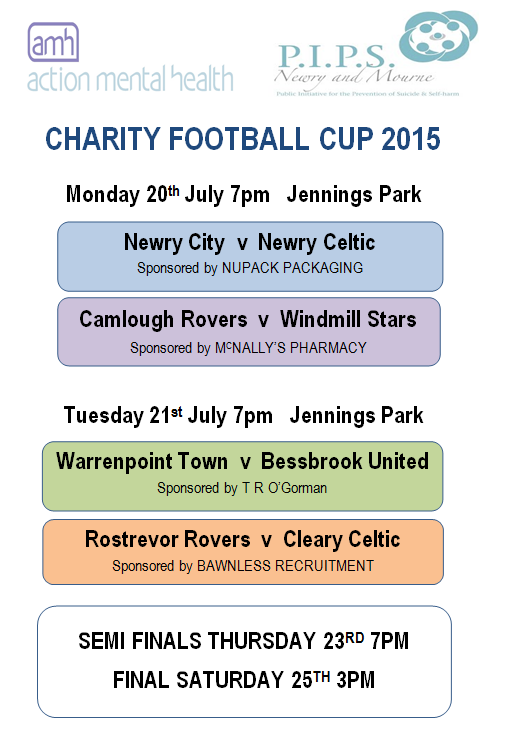 Camlough Rovers, Windmill Stars, Warrenpoint Town, Newry City, Rostrevor Rovers, Cleary Celtic, Bessbrook United and Newry Celtic will compete for the trophy. The tournament promises entertainment and strong competition. We hope that this tournament will raise awareness of mental health, especially with young men who find it difficult to talk about their mental health. Sport, either played or watched, can have a positive effect in helping people with poor mental health and also breaking down barriers to mental ill health, suicide and self-harm in the community.